Every moment has led to this. The highly anticipated final installment of The Twilight Saga, directed by Academy Award® winner Bill Condon, THE TWILIGHT SAGA: BREAKING DAWN – PART 2 illuminates the secrets and mysteries of this spellbinding romantic epic that has entranced millions. With more of the struggle, romance, passion, mystery, and action that made Twilight, The Twilight Saga: New Moon, The Twilight Saga: Eclipse, and The Twilight Saga: Breaking Dawn – Part 1 international blockbusters, The Twilight Saga: Breaking Dawn – Part 2 concludes the universally adored tale of love, family, courage, empowerment, and destiny. Based on Stephenie Meyer’s bestselling book series, the novels and films constitute a full-blown cultural phenomenon with a dedicated global fan base that has eagerly awaited each installment. The second of a two-part adaptation, The Twilight Saga: Breaking Dawn – Part 2 is directed by Bill Condon from a screenplay by Melissa Rosenberg, based on the novel Breaking Dawn by Stephenie Meyer. Kristen Stewart, Robert Pattinson, and Taylor Lautner star. 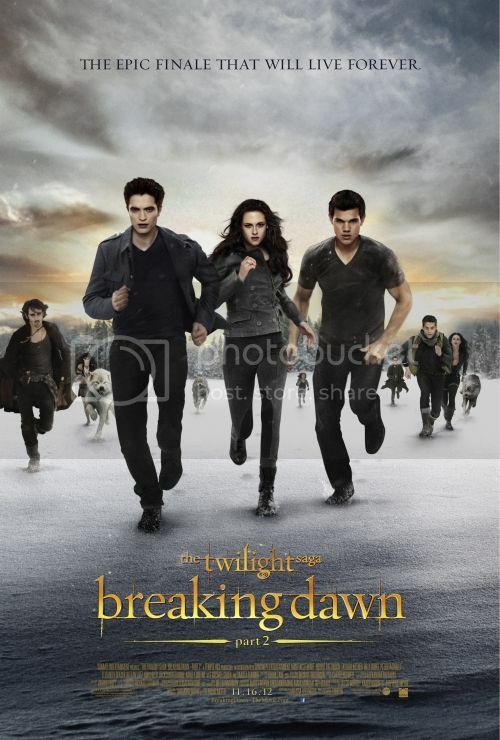 The Twilight Saga: Breaking Dawn – Part 2 is in theatres on Friday, November 16, 2012. There will be 1 winner for each city. Each winner will receive 1 admit-two pass. "RT @PiinkCupcakez Enter for your chance to win advance screening passes to see "BREAKING DAWN - Part 2"! http://www.PiinkCupcakez.com"
I would really love to see this movie! Thank you! My daughters would loved to see this movie, Muchas Gracias, Julisa!! I again tweeted your contest. I retweeted you again today.